Pygmy bamboo is one of the smallest bamboos, and its leaves are also very small. It is one of the best of the dwarf bamboos for use as a bonsai. It will form a very nice carpet in the garden. This species similar to Pleioblastus distichus, but its leaves do not display the fern-like leaf grouping. Yearly trimming is suggested. Bamboos like this are very hardy to frost. 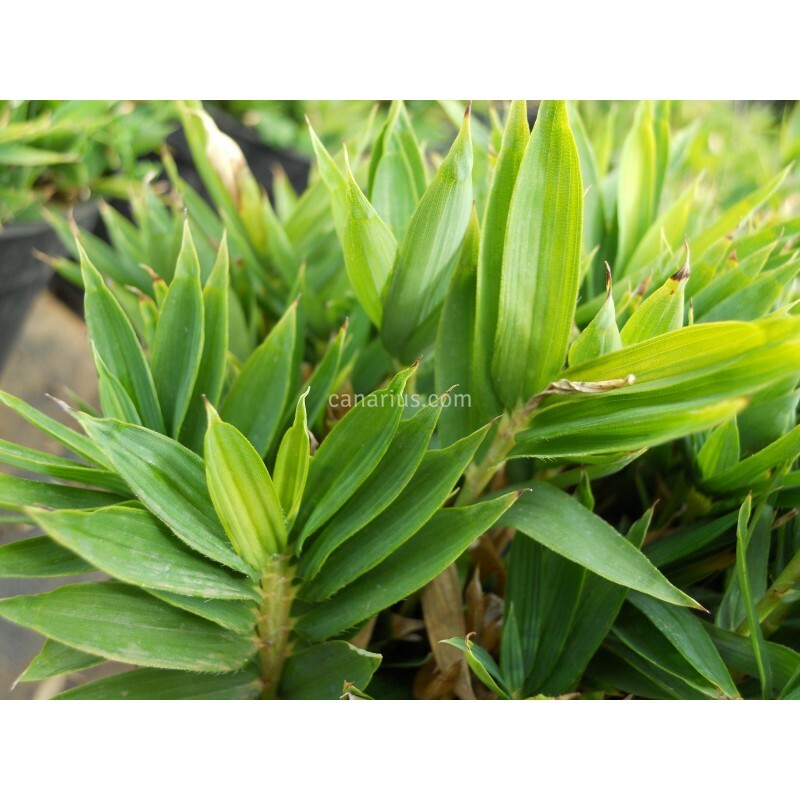 They are problem-free exotic garden plants giving a tropical or asian touch to any setting. We will select for you a good chunk of rhizomes and stems, about 18 x 10 cm. Plants will be shipped bare-rooted, well wrapped in Sphagnum or Perlite. We ship worldwide.